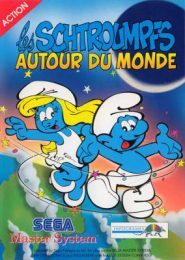 The European release of Primal Rage for the SEGA 32X and the SEGA Master System’s Les Schtroumpfs Autour du Monde (The Smurfs Travel the World) have more in common than being amongst the final releases for their respective systems. To wit: both were manufactured in numbers so small that their existence wasn’t recognised until years after their original release. The Smurfs Travel the World – sometimes referred to as The Smurfs 2, and also avaliable on GameGear – was released in 1995 (possibly early 1996) making it the final SEGA Master System title. 1995 was, lest you forget, the same year the PSone and SEGA Saturn launched. The 8-bit format had been long forgotten by the gaming press of the era, with SEGA Force Master – the one and only dedicated Master System magazine – going the way of the dodo in 1993. The colourful platformer, from Parisian publisher Infogrames, only made it to a handful of Eastern European countries. Its existence was unheard of until 2000, after SEGA fan Mikko Heinonen found a copy while on holiday in the Czech Republic. A search online yielded zero results; they had discovered a game so rare that there was no documentation about it whatsoever. Move over Buggy Run and Masters of Combat – SEGA Master System collectors had a new holy grail to chase. Once word of this mysterious title circulated around the retro community the hunt was on to track down additional copies. Mikko Heinonen was soon able to source a small handful from Prague, along with a further 10 copies one year later. These eventually found their way to collectors. For a short spell, SMS Power forum members tried to keep track of the number of copies in circulation, with the last recorded figure – in 2001 – being twenty-five. Unsurprisingly, copies were selling for as much as £300 during this time. 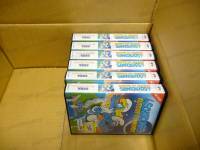 Entire boxes of unsold copies have since surfaced, bringing that price down, while making the number of unknown copies in existence impossible to track. Today, it’s now a relatively well-known title, at least amongst SEGA Master System collectors. The fact that it was unheard of until five years after it first launched remains fascinating. No fanfare, no press coverage – it merely slipped into a small amount of Eastern European gaming stores, remaining there until being discovered years later. 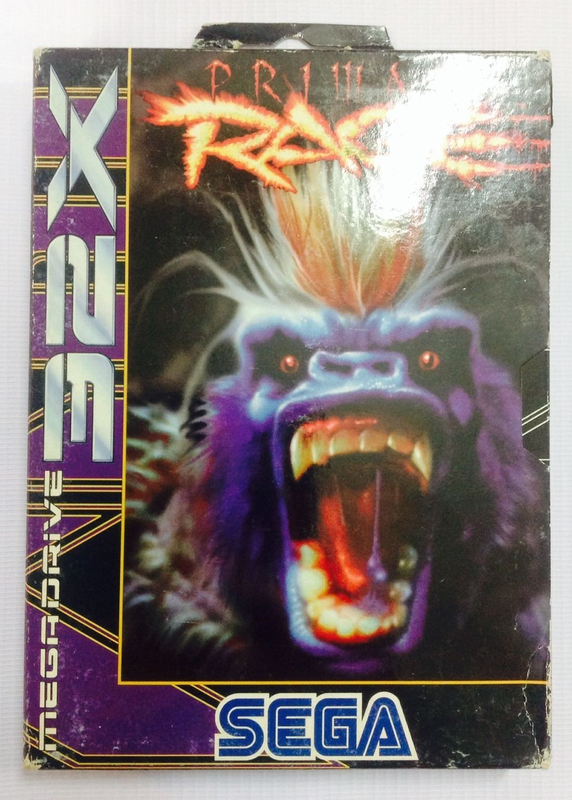 Primal Rage for the SEGA 32X has a similar story. The US release, we should note, is one of the most common titles for the failed add-on. Indeed, the bloody prehistoric brawler was a very well-known title, gaining a release on just about every format at the time – even the Atari Jaguar CD saw a conversion. That’s to say, unlike The Smurfs 2, it’s far from obscure – chances are the US version of the 32X iteration was covered by the UK press, given the popularity of the import scene at the time. This doesn’t mean the existence of a UK version was common knowledge at launch, however. Come 1996 the system was on death’s door. It quietly ‘launched’ at some point that year, available only by mail order or directly from SEGA’s website. We’d estimate shortly before the launch of the equally rare Darxide, a space shooter once scheduled to launch alongside the cancelled SEGA Neptune – a standalone console that could play both 32X and Mega Drive games. When the first copy of Primal Rage appeared on eBay in 2000/2001 (an accurate date has been lost to the mists of time, sadly) it caused a stir, with some sceptics believing it to be fake. In the years to come a few more copies surfaced, selling for as much as £1000. Again, attempts were made to track the amount of copies ‘out there’ and it’s generally believed the figure is between five and ten. Given the size of the current gaming scene, ergo the retro community, we’d imagine every single game released in the past 20 years has been documented online at some point, and any other obscure titles from the 8-bit and 16-bit eras have been discovered by now. That’s not to say there aren’t undocumented pre-release games out there, though – these are known to mysteriously appear in thrift stores and garage sales, often sold as junk. Undoubtedly, there’s something out there waiting to be discovered by some lucky soul; something we couldn’t even possibly imagine.